Hope your week is flowing nicely. We are one day closer to the weekend so it can't all be bad right? 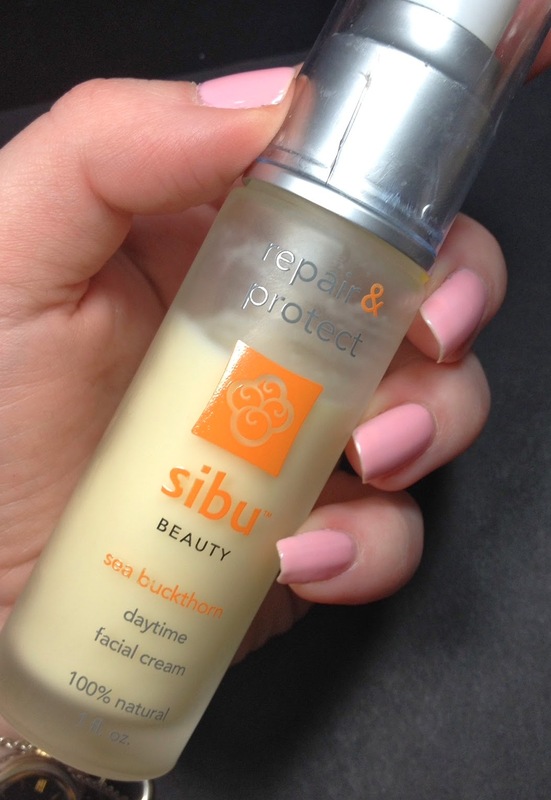 I was contacted by the brand Sibu Beauty (Sibu Beauty )with an offer to try one of their products. I could choose between their facial cleanser or their daytime facial cream. Of course with my face acting like it was I went with facial creme. I had been trying so much I was hoping this was going to just be so awesome for me. Cue to me going on vacation. They were mailing it out right around the time I was leaving to go to Florida. That's right, I went from the freezing cold to the 80 degree weather of Florida. I went from snow pants to shorts in a matter of a couple days. Let me tell you this, my face FREAKED OUT. I mean by the end of the trip my face was itchy and red all over. I couldn't scrub my makeup off my face fast enough that Friday afternoon. I just couldn't handle it anymore. It was just so dry, raw, and just TICKED off at me. Thankfully by the time I got back to work my package was waiting for me on my desk. I started using it the next morning. I have been using it almost every day since (as noted by the one picture below!) After I get out of the shower I use two full pumps on my face. I let it soak into my skin while I am drying my hair. It has a light scent to it, nothing overpowering. It is lightly citrusy but also herbal. Sea Buckthorn is everywhere these days. I have seen it so many places. 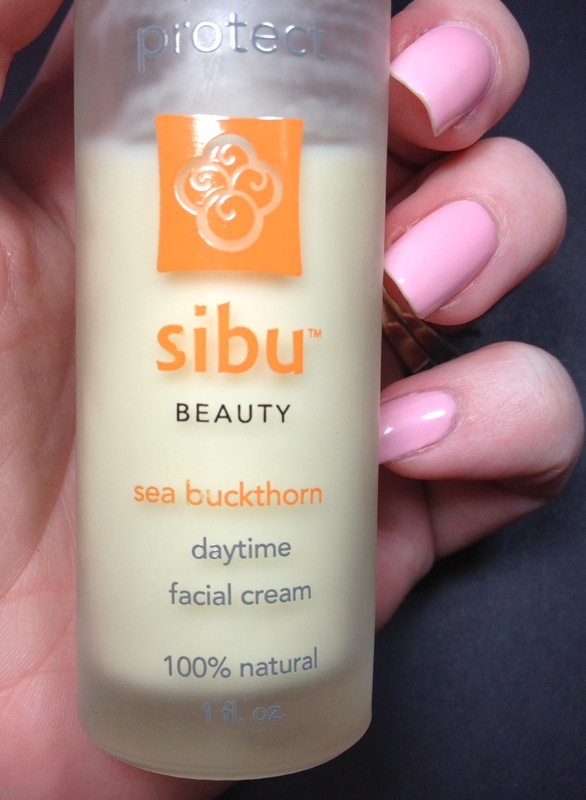 "Our Sea Buckthorn facial cream, with Omega 7 fatty acids, creates the perfect barrier to moisturize, rejuvenate, repair and protect. 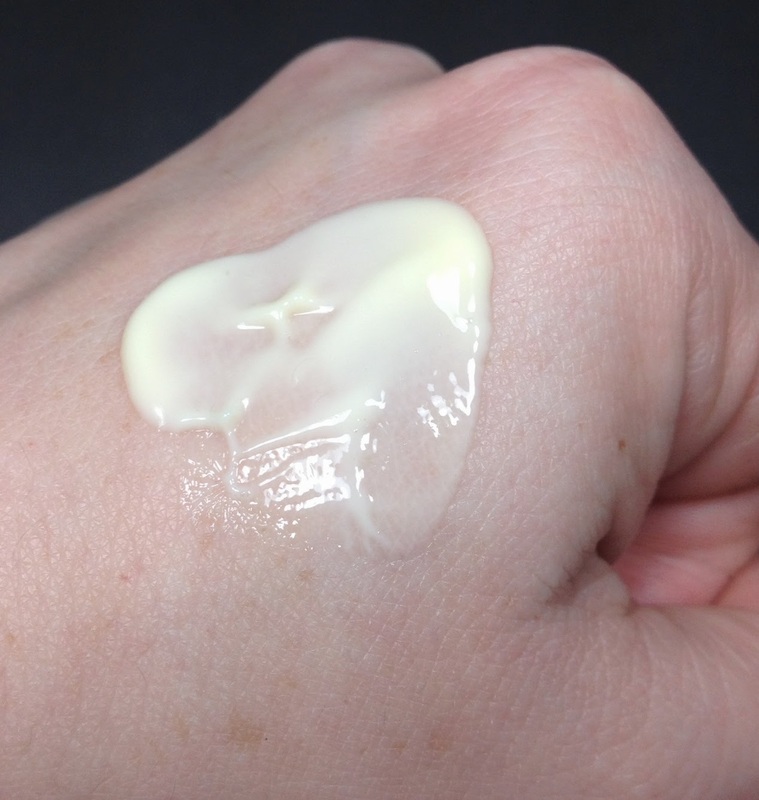 This light, non-greasy cream is ideal for daily use and offers a pleasing, light citrus scent. It is paraben-free and cruelty-free and contains NO dairy, wheat, gluten, sodium or preservatives. * For all skin types "
I will say that yes it rejuvenated my sun damaged skin. I can't answer to the environmental stress because I don't know what that means. I think it has improved the texture because my skin was awful when I started using it. It was so red and bumpy and painful. I am not sure about the tone of it, it still seems the same to me. You can see I have used a fair amount so far. This is one pump on the back of my hand. 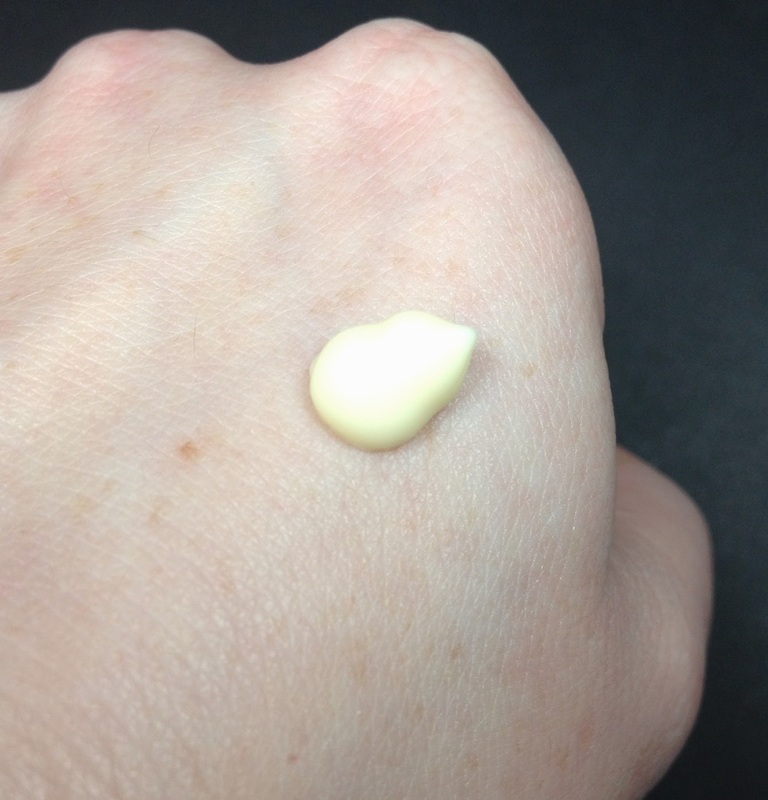 As you can see it's a pretty stiff cream. Just to show how creamy it is. That's my opinion of this product. I seriously enjoyed it and since they have such a wide range of products for health inside and out of your body, I may look into trying more out from this brand. It sounds great! I have dry skin so this seems like a product that would work well for me too.